So it’s Spring Break! and one of my favorite destinations is Vail, Colorado. 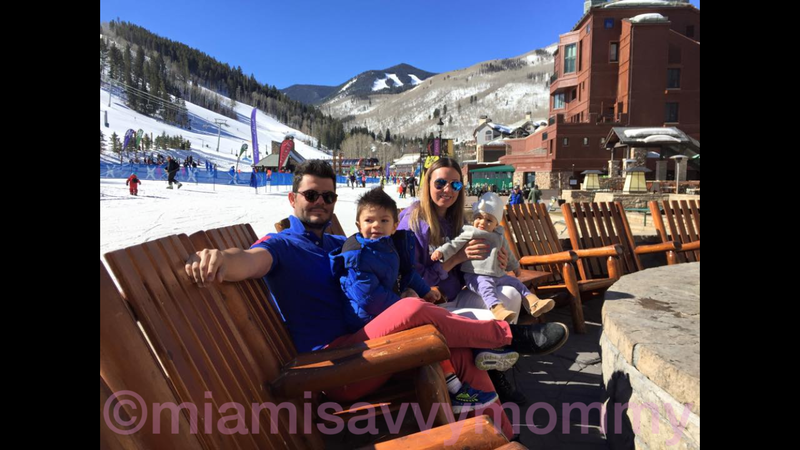 Having a family ski vacation at Vail is very baby friendly. Staying at a resort that offers day care for your kids is a must, specially if you want to hit the slopes with your hubby instead of taking turns babysitting the kids. My top choice is Beaver Creek Resort, which offers a great daycare service for kids as small as newborns. Their daycare is conveniently located two stories below the ski lifts. And if you are still breastfeeding, like in my case, you can easily ski down the slopes a couple of times, breastfeed your baby, have a nice lunch, and ski a couple of more times before picking up your kids at 4pm. The resort also has an ice skating ring and family tubing. In addition, just because your kids don’t ski yet they don’t have to give up the slopes. Beaver Creek has a couple of gondolas for those riders on foot, so that everyone can enjoy the magnificent view. This year the weather was around 50F during the day, and the skies were clear and sunny. It was the perfect weather to enjoy warm chili and beer sitting by the slopes and to take the kids around to enjoy the snow. 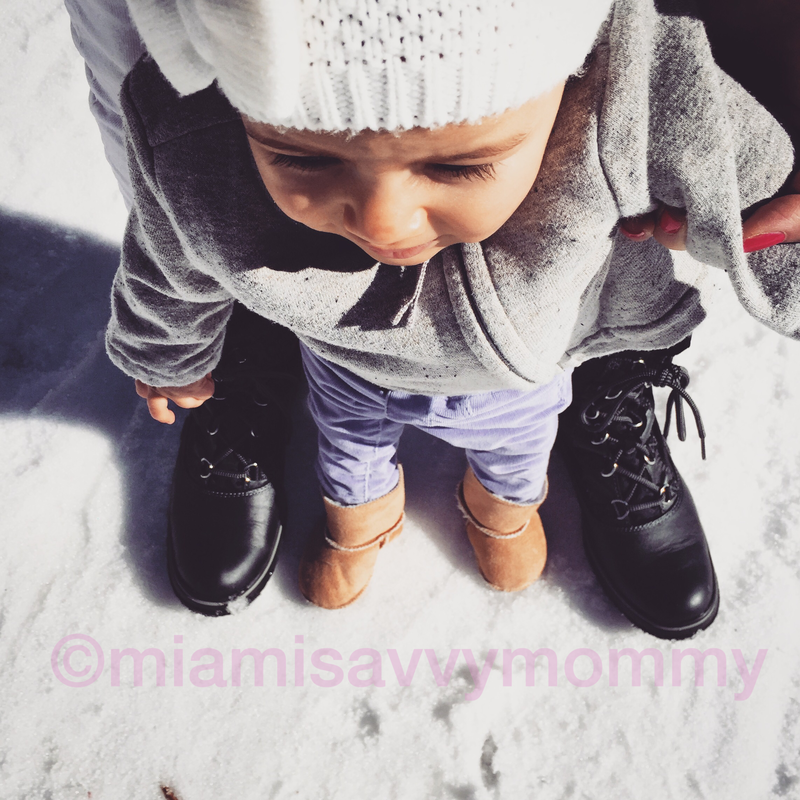 Mia stepping on snow for the first time.